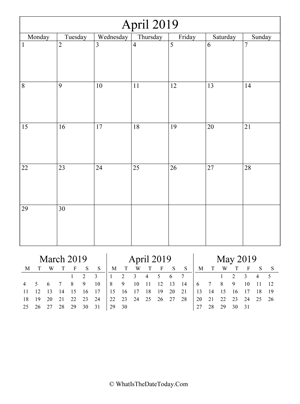 This Printable 2019 Calendar April (Vertical Layout) is a available for download in PNG format. The calendar come with colorful font in black, blue and red. Looking for other april calendar in a different style or layout? 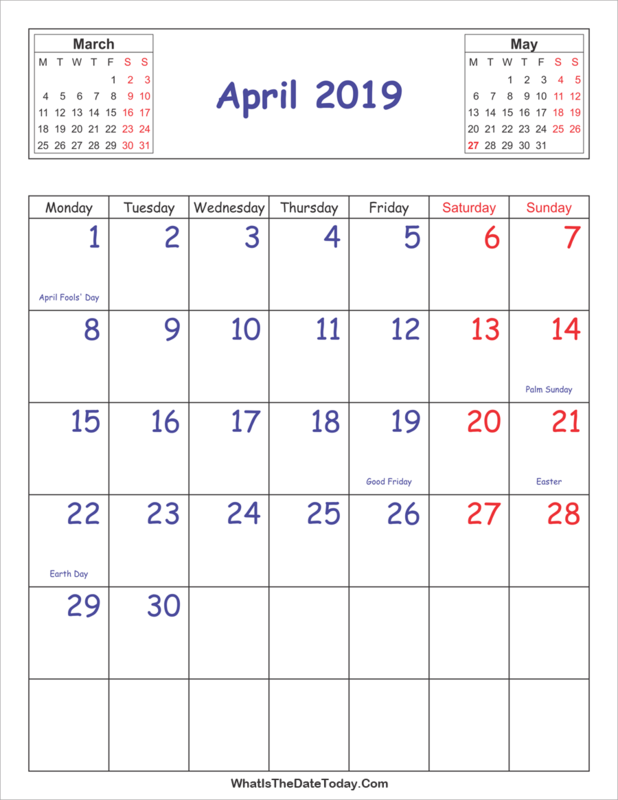 We have a large variety of 2019 april calendar templates for Word, Excel & PDF to download and print. 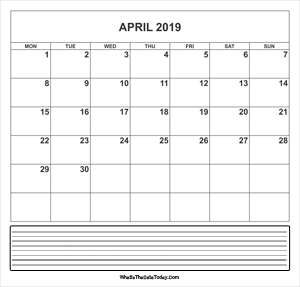 april 2019 editable calendar (vertical layout). editable april 2019 calendar with holidays and notes. 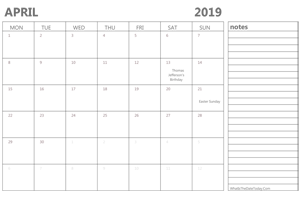 Looking for one page calendar include 12 months on it? We have yearly calendar for you, just check it out and print a calendar you want.